You will see a "Book in/out" tab, this will be the fifth tab along on the top row. Click on the tab and you will see a drop down menu. 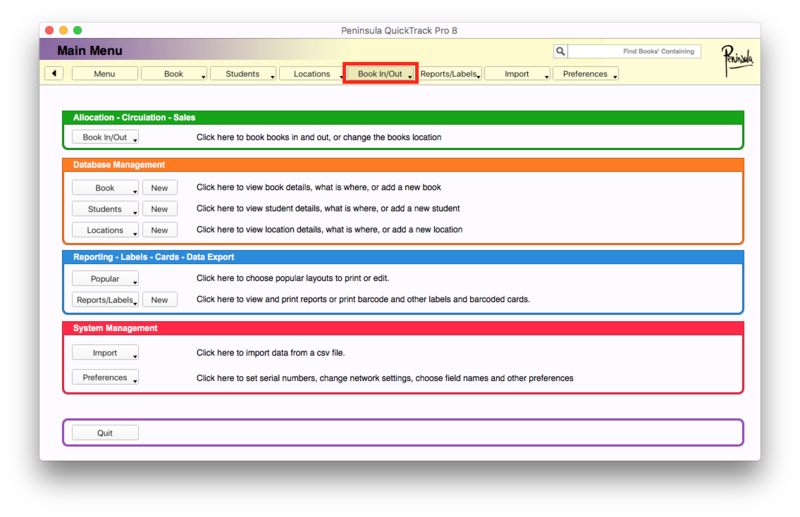 To book out click the "Book books out to students"
After clicking "Book books out to students" the above dialog should now show. You can see two text fields. You would enter your Student Id and then the book ID. 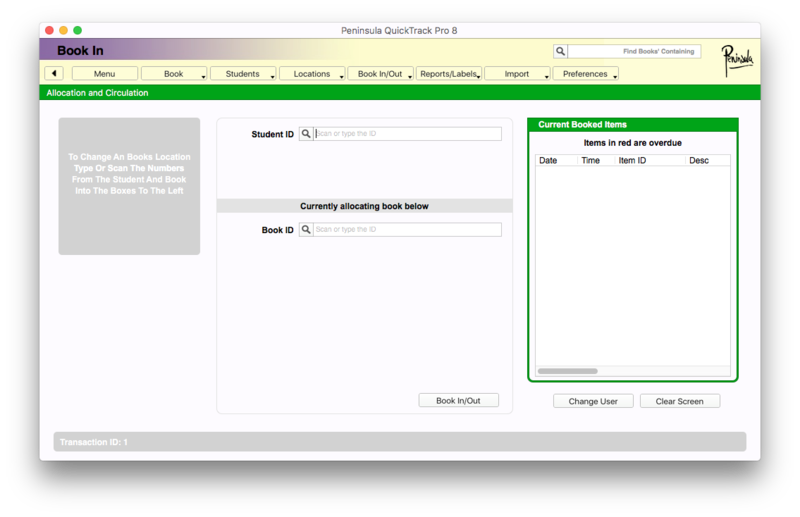 Or alternatively you would Scan an student ID card and Scan the book. After entering your Student ID and Book ID it will tell you if the book is in or out. 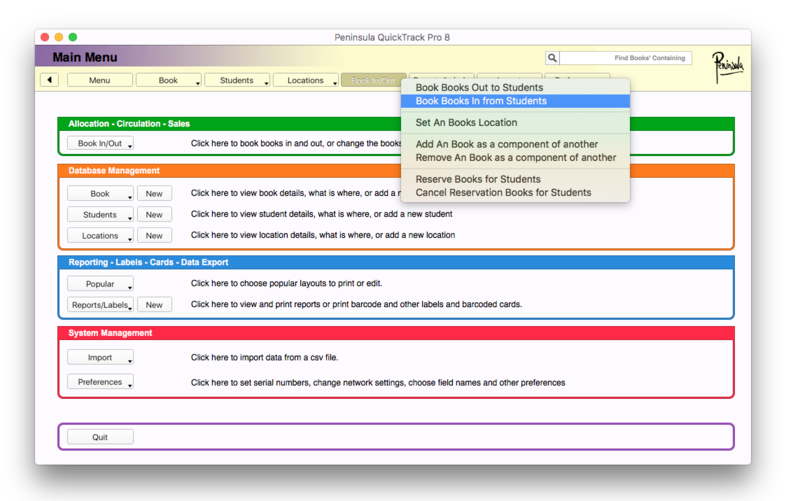 if the book is in you can then click "book out" to book it out. 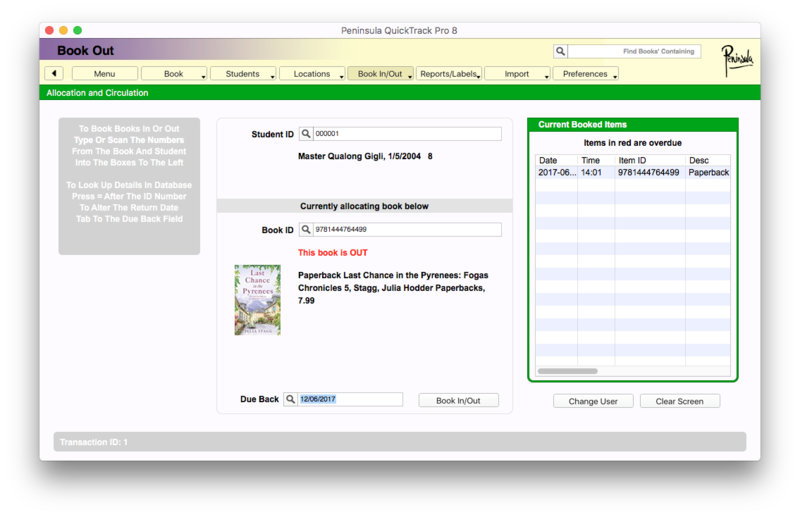 The above dialog shows that the text has changed to say the Book is out now. Click on the tab and you will see a drop down menu. 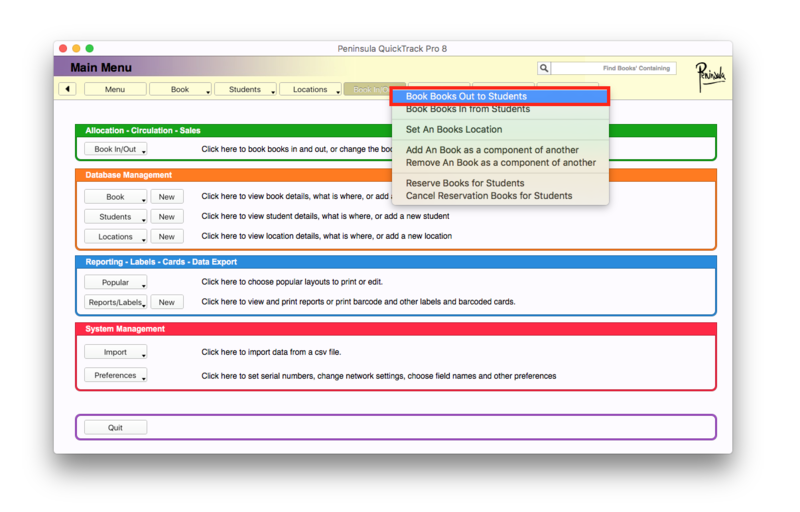 To book out click the "Book books in from students"
After clicking "Book books in from students" the above dialog should now show. if the book is out you can then click "book in" to book it in. 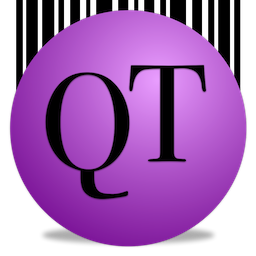 You now know how to book in and book out.